Improvisatory Minds is a collective of four concert composers [Bevan Manson, Ed Neumeister, Michael Patterson and Dennis Dreith] who are also active jazz musicians. We present performances of original chamber music informed by a jazz perspective, thereby promoting a unique and often neglected facet of the contemporary concert music world. Our series “Chamber Music by Jazz Composers” features composers who draw upon our cultural and musical heritage to create a new vein of contemporary music that is refreshingly accessible, harmonically rich, and rhythmically intriguing. Formed in 2011, Improvisatory Minds has presented concerts in Los Angeles area venues such as Upstairs at Vitello’s, Classical Encounters, and Sessions at the Loft, as well as at the Museum of Contemporary Art in La Jolla and St. Peter’s Church in New York City. Prominent guest composers have included Claire Fischer, Billy Childs, John Williams, Jeff Beal, Paquito D’Rivera, Andre Previn, and Vince Mendoza. Featured artists have included the Lyris Quartet, the New Hollywood String Quartet, The Righteous Girls, the Midnight Winds, Stuttgart Chamber Orchestra concertmaster Ben Hudson, pianists Antoinette Perry, and Gloria Cheng, and many other prominent musicians. Each concert showcases new and recently written chamber works and includes at least one world premiere. In October of 2011, Improvisatory Minds was proud to present the first performance of Claire Fischer’s long-neglected Piano Quartet with the legendary Latin jazz bandleader and composer in attendance, just three months before his death. 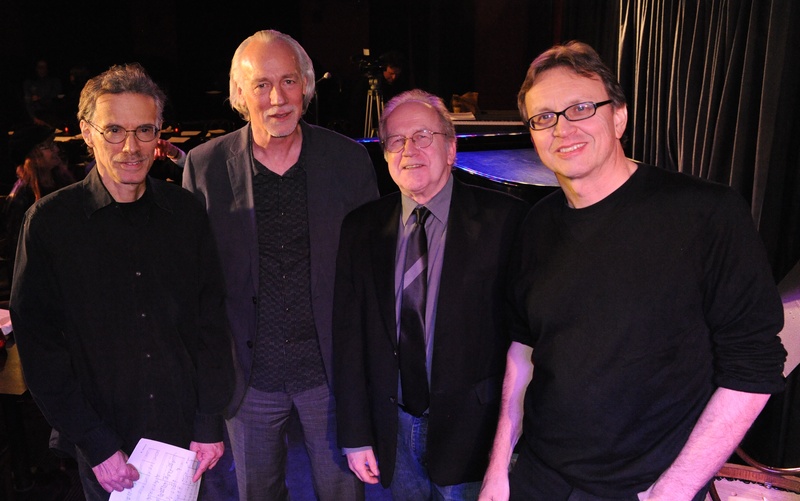 Four-time Emmy winner and prolific concert composer Jeff Beal, well known for his music for “House of Cards” and “Monk”, hosted an Improvisatory Minds concert with the New Hollywood String Quartet in his home in Agoura Hills in April of 2015. Composer BEVAN MANSON has received commissions from Sierra Chamber Music, San Francisco Symphony, First Night Boston, and L.A. Chamber Orchestra violist Victoria Miskolczy. He recently wrote and conducted string arrangements for saxophonist Gary Smulyan at NYC’s Blue Note. Chatter Chamber Concerts in Albuquerque presented his new piece for French horns and piano in 2013. His California Concertino for Flute and Chamber Orchestra was premiered by Katherine Fink of the Brooklyn Philharmonic, and also performed by L.A. Chamber Orchestra flutist David Shostac with the Brentwood-Westwood Symphony. Bevan has recorded on the Challenge, Iris, Brownstone, and GM labels. A recording of his recent chamber music, including the flute concertino, works for solo clarinet, piano quartet, string trio and mixed ensemble will be released this spring on Albany Records. DENNIS DREITH spent most of his career as a film composer (The Punisher, Mobsters, The Shadow, Columbo), and an orchestrator/conductor working on such pictures as Misery, Addams Family, Heart and Souls and A League of Their Own providing services for John Williams, Lalo Schriffrin, Dominick Frontiere, Marc Shaiman, Hans Zimmer, Eliott Goldenthal, Mark Ishm and Clif Eidleman. Currently Dreith is the Executive Director of the AFM & SAG-AFTRA Intellectual Property Rights Distribution Fund, a not-for-profit performer rights collective whose purpose is to collect and distribute royalties from various foreign territories and royalties established by government statute under U.S. Copyright Law. Previously, Dreith was the Administrator of the Film Musicians Secondary Markets Fund, and preceding that, the International President of the Recording Musicians Association. Dreith remains active in the music business having just released a solo CD of original compositions featuring a 13 piece ensemble of internationally acclaimed jazz & pop musicians. In addition to his other activities, he is also the Managing Partner in Greaf Wines, a boutique winery specializing in Rhone varietals. Composer/conductor ED NEUMEISTER has received commissions from all over the world from solo to chamber, jazz bands and orchestra and has received a Grammy Award Nomination, Commissions and Awards from ASCAP/IAJE, the Aaron Copland Fund for Music, National Endowment for the Arts and Meet The Composer. He is the founder of the NeuHat Ensemble in New York, an 18-piece hybrid ensemble, and ENJO (Ed Neumeister Jazz Orchestra) in New York and Los Angeles. As a leader, he has recorded seven albums. Neumeister is also active as a trombone soloist with frequent performances in the US, Europe, and Japan. MICHAEL PATTERSON is a Grammy (2010) and Emmy Award winning composer. Commissions include the London Symphony Orchestra, NYRO, New Mexico, Utah and Sichuan, (China), Symphony Orchestras. Artists he has collaborated with include Eddie Daniels, Rick VanMatre, Debussy Trio, Bob Sheppard and Marc Copland. Film and TV scores -The Adventures of Young Indiana Jones, J.A.G. (CBS-TV), Tiny Toon Adventures with Spielberg, and Lucasfilms’ Radioland Murders. Recent CD’s as producer, arranger, and composer for IPO recordings –Vol. I: The Music of Thad Jones –One More- Vol. II: The Summary. Mean What You Say and Homecoming with Eddie Daniels; Our Delight, Moody 4A and 4B. Michael currently teaches composition/film scoring at NYU and Composition and Arranging at Mannes College and Manhattan School of Music. 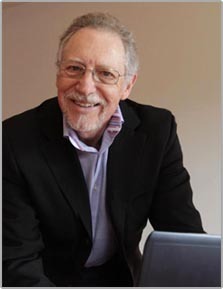 Composer GERNOT WOLFGANG has received commissions from the Los Angeles Chamber Orchestra, the Santa Barbara Chamber Orchestra, Los Angeles Philharmonic principals David Breidenthal (bassoon), Joanne Pearce Martin (keyboard) and Michele Zukovsky (clarinet), and the European Broadcasting Union. Recordings of his works can be heard on Albany, Crystal, Koch, Navona, Polygram and Universal. He received awards and grants from the American Composers Forum, American Music Center, Berklee College of Music, Billboard Magazine, BMI and the Fulbright Commission. Gernot Wolfgang is currently artistic advisor to ‘HEAR NOW – A Festival of New Music by Contemporary Los Angeles Composers’ and the Beverly Hills International Music Festival.